In experiments with human colon cancer cells and mice, a team led by scientists at the Johns Hopkins Kimmel Cancer Center say they have evidence that cancer arises when a normal part of cells’ machinery generally used to repair DNA damage is diverted from its usual task. The findings, if further studies confirm them, could lead to the identification of novel molecular targets for anticancer drugs or tests for cancer recurrence, the investigators say. Scientists have long known that chronic inflammation, a risk factor for cancer, can damage DNA. They’ve also known that cancer cells’ ability to spread is in part due to so-called “epigenetic” factors that sabotage the ability of genes to turn on or off when they should. In their new study, described in the issue of Cancer Cell, the scientists uncovered a link between those two phenomena by turning their attention to a protein known as CHD4, short for chromodomain helicase DNA-binding protein. The protein is associated with DNA damage repair. The researchers, principally Limin Xia, a postdoctoral fellow in the laboratory of Stephen B. Baylin, M.D., the Virginia and D.K. Ludwig Professor of Oncology and Medicine and associate director for research programs at the Kimmel Cancer Center, designed a series of experiments to determine how the CHD4 protein repairs DNA damage. First, the researchers exposed human colon cancer cells in the laboratory to hydrogen peroxide, which damages DNA through an inflammatory-like process, namely the generation of negatively charged, highly reactive molecules called reactive oxygen species (ROS). The experiments showed that CHD4 was present at the DNA damage sites within minutes of exposure to hydrogen peroxide, and was soon accompanied by a “repair crew” of other proteins, composed in part of DNA methyltransferases, proteins that place methyl groups on genes to “silence,” or turn them off. Then, the research team used a laser beam to cause DNA damage in the colon cancer cell lines. Again, CHD4 and its crew of repair proteins swooped into the damage site. “This result suggests that the presence of CHD4 and its accompanying proteins may be part of a universal system for repairing DNA damage,” says Baylin. Adding support to that idea, he says, when the team stopped cells from making CHD4 by genetically disrupting the gene, the accompanying proteins were no-shows after exposure to hydrogen peroxide or the laser. Presumably, Baylin says, the mechanism exists to shut down genes in damaged regions while cells repair DNA. However, he says, the repair team may stick around in some genes, keeping them turned off even after DNA repair is finished or ongoing. The type of gene that is kept turned off could be linked to cancer, notes the team. The researchers found that eight genes most likely to be already methylated and thus turned off in colon cancer cells are thought to be potential tumor suppressors. Further investigation showed that these genes were also already enriched with CHD4. When researchers prevented cells from making CHD4, these genes lost their methylation and became reactivated, able to produce proteins that prevented the spread of cancer cells. Checking the Cancer Genome Atlas, a database funded by the National Institutes of Health that catalogs genetic mutations thought to be responsible for cancer, the investigators found that a significant subset of colon, lung and other cancers between 30 and 40 percent had much higher levels of CHD4 than healthy tissues. Curious as to how CHD4 is drawn to damaged DNA, Xia, Baylin and their colleagues looked for other factors that might attract CHD4 to the DNA damage site. They found that CHD4 interacts directly with an enzyme called 8-oxoguanine glycosylase (OGG1), which removes guanine one of the units that makes up DNA when it becomes damaged. When the researchers removed this enzyme from cells, CHD4 failed to arrive at sections of damaged DNA. When the researchers color-stained the DNA of colon cancer cells to find the most likely locations of OGG1, they found it at the locations of the eight tumor suppressor genes that are often turned off when cancer occurs. Finally, the researchers performed a series of experiments to examine the behavior of two sets of colon cancer cells: one set with a characteristically high amount of CHD4, and one in which the researchers had used genetic techniques to reduce levels of this protein. 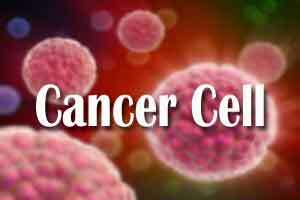 The researchers found that the unmodified colon cancer cells readily moved around in petri dishes, penetrated other cell membranes there, and migrated from one area to another in live mice to create new tumors the hallmarks of metastases. However, when the researchers tried the same experiments with the cells in which CHD4 had been knocked down, they’d lost all these characteristic cancer cell abilities. Consequently, he says, finding ways to reduce the amount of CHD4 in tumors could be one way to treat cancer. Additionally, he says, tracking high levels of OGG1, which attracts CHD4, might be useful for doctors to gauge risk of cancer recurrence. Other researchers who participated in this study include Yi Cai, Yang W. Zhang, Huili Li, Cynthia A. Zahnow, Wenbing Xie, and Ray-Whay Chiu Yen of Johns Hopkins, and Feyruz V. Rassool from the University of Maryland Greenebaum Comprehensive Cancer Center. The research was supported by grants from the National Institutes of Health’s National Institute of Environmental Health Sciences (RO1 ES011858), the Hodson Trust, and the National Natural Science Foundation of China (No.81522031, No.81272652). The study was also supported in part by internal funds from the National Center for Toxicological Research, U.S. Food and Drug Administration.